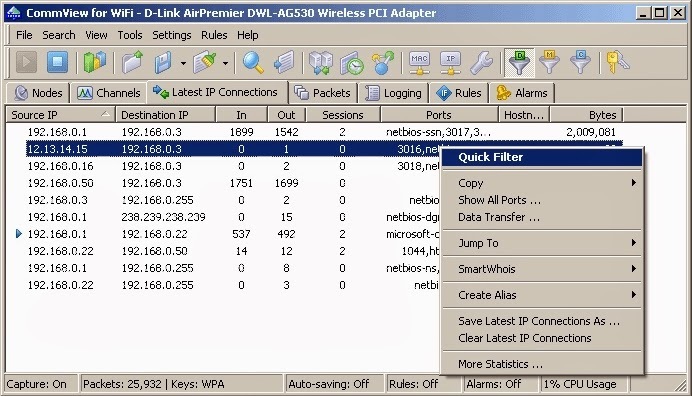 CommView for WiFi is a comprehensive and affordable tool for wireless LAN administrators, security professionals, network programmers, or anyone who wants to have a full picture of the WLAN traffic. This application runs on Windows XP / Vista/ 7 / 8 or Windows Server 2003 / 2008 / 2012 (both 32- and 64-bit versions) and requires a compatible wireless network adapter. You can also run CommView for WiFi on Macs.